Highly concentrated and formulated to remove greasy soils, this commercial strength Dawn dish detergent has the grease fighting power of Dawn to clean pots, pans and utensils thoroughly, leaving them squeaky clean. Dawn Pot & Pan Detergent is made from a blend of surfactants with the power to cut through and emulsify grease. The long lasting suds allow 35% less sink changeover, saving on labor and hot water usage by 6,000 gallons per year, making this an economical choice for any residential or commercial food service setting. 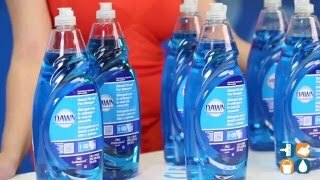 As a result of its highly concentrated formula, Dawn dish detergent allows the user to clean 58% more greasy dishes than the leading competitor, reducing the cost per use. 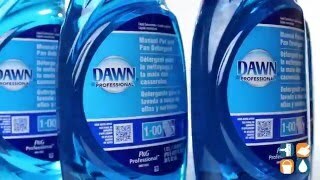 Dawn Pot & Pan Detergent can also be diluted and used as an all purpose cleaner. 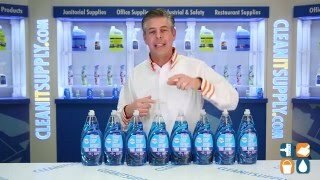 Purchase bulk Dawn dish soap to stock up and save!